F and I went to London Film and Comic Con yesterday, despite some travel woes - our original accommodation plans for Saturday did not work out, and an appeal on Facebook brought a very welcome offer from A (who used to be on Livejournal) offering the use of her flat near Marylebone in her absence. So we arrived late-ish Saturday, ate, slept, and went by Uber to Kensington Olympia the next morning. On the way we passed Grenfell Tower. A grim sight. I’m presenting the pictures I got in order of Whovian continuity, as it were. 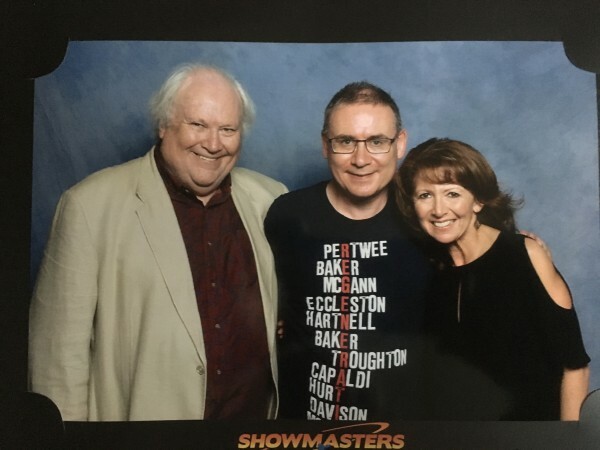 So in fact the last photograph I got taken, but the earliest in terms of Doctors, was the only one that also included a companion: behold Colin Baker and Bonnie Langford. And actually embracing Peter Capaldi. 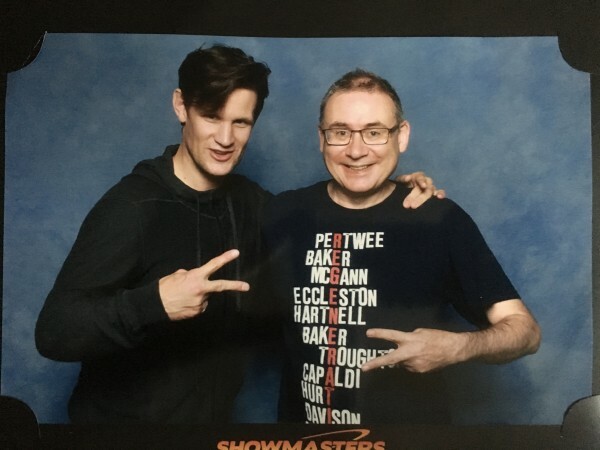 As mentioned above, I missed out on David Tennant - apparently tickets for his photo shoot sold out within an hour of their being announced - but was in full fanboy mode for Matt Smith, actually my first picture of the day. The people in front of me in the Capaldi queue were a couple with a small child aged maybe ten or twelve months (and a little brother or sister imminent). 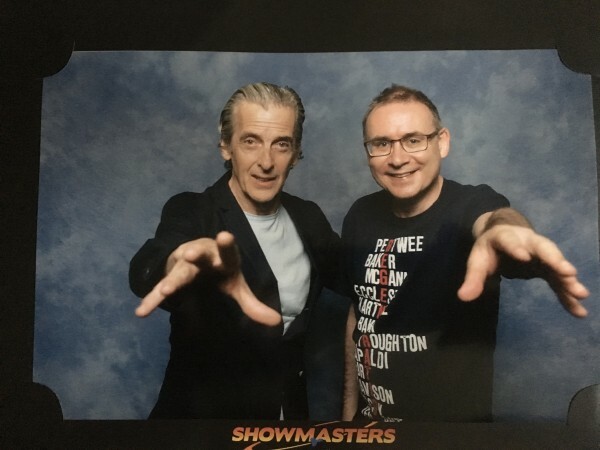 As soon as the child saw Capaldi’s face, she started howling in terror, and would not be reassured; Capaldi did his best to help, but in the end they had to settle for a picture with the Twelfth Doctor and a small unhappy person. So I had a very brief chat with him as I stepped up to the camera myself, informing him of my family connection to the show. Peter Capaldi on Biscuits - "they're neither a chocolate bar, or a health food." 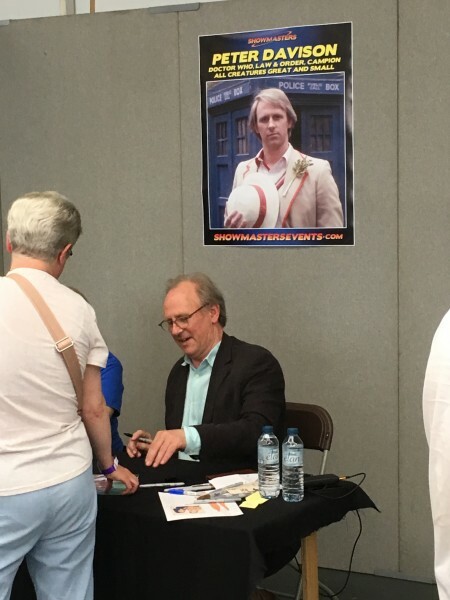 He also dealt very sensitively with an audience member who asked if the Doctor had been deliberately written as autistic. “It’s more that he’s not human himself, and has difficulty sometimes working out how to behave with human beings.” Another audience member credited Doctor Who, and the Twelfth Doctor especially, for pulling her out of suicidal depression. 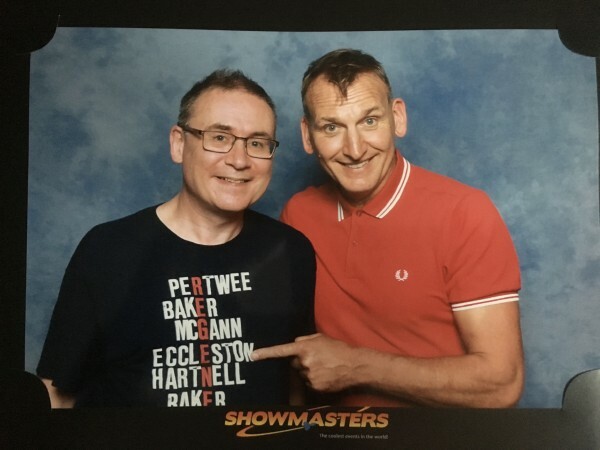 It was great fun, and I was sorry that when the family sitting next to us at lunchtime asked us when the Capaldi talk was, I had to tell them that they had already missed it. 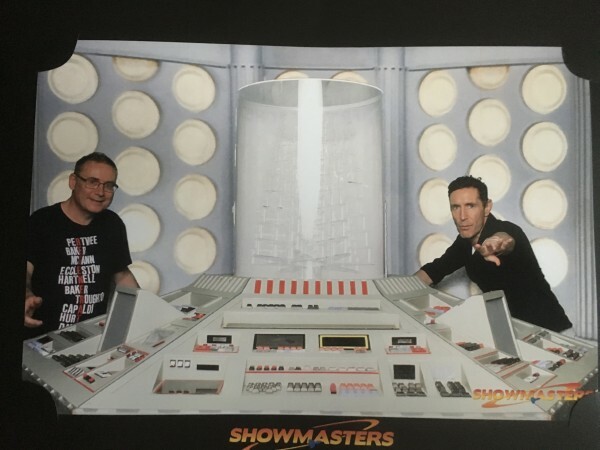 So yeah, generally worth the (non-trivial) cost, but not fantastic information about the programme either before or during the event itself (though given my other problems on Saturday, I probably could not have signed up for Tennant or Davison). Thanks again to A in Marylebone for solving our accommodation difficulties. And now I am going to Norn Iron for the next three weeks. I've loved seeing all the photos on Twitter and it's made me fancy going along (plus, half the people I know in the entire world seem to go). Only there in the morning but it seemed good. Did you get to YALC. That was fascinatingly fab. I was impressed that eccleston looked like a casual out of a firm.